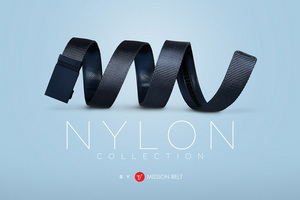 PROVO, UT--(Marketwired - Jul 21, 2015) - Mission Belt Co., the company that you saw on ABC's Shark Tank, is pleased to announce the launch of a whole new line of Nylon belts for Summer 2015. "We are excited to offer our customers an alternative to our traditional leather belts with the Nylon collection," said Jeff Jensen, cofounder of Mission Belt Co. "This line is the perfect addition for anyone looking for a more casual and rugged belt that fuses utility and style with our no holes approach." The Nylon Collection starts at $29.95 and is available online and at select retail stores. And don't forget, a dollar from every Mission Belt sold goes to the "Mission" to fight global hunger and poverty through micro lending. Partnering with Kiva, the Mission Belt has made over 22k micro loans worldwide ranging from $25 to $500 each. Like Mission Belt Co., the Mission is growing everyday and giving a hand up to those striving for a better life. Stay up to date with Mission Belt news, announcements, and promotions on Instagram, Facebook and Twitter. Mission Belt Co. was founded in 2012 with the dual purpose of breathing life into a tired accessory and to aggressively fight hunger and poverty. After a successful appearance on ABC's "Shark Tank" in April 2013, the company took off. Inspired by modern, simplistic design and intuitive functionality, Mission Belt gives the classic accessory a fresh start with a unique ratchet buckle to provide a more comfortable fit. For more information about Mission Belt Co. or its belts and mission, visit http://MissionBelt.com. To see Mission Belt Co.'s Kiva page, visit http://www.kiva.org/lender/TheMissionBeltCo.